Feel the freedom of open terrain and get ready to explore, Wingman has your back. It’s not always about the conditions, it’s about maximizing the good times. 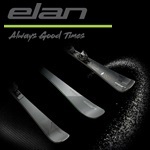 The Wingman series fuses Elan’s award-winning technologies with a fresh take on all-mountain skiing. Built to enhance the energy of the all-mountain skier in any condition and terrain, the Wingman always has your back. 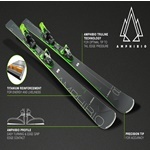 As the closest bridge to the Ripstick collection, the Wingman is built with the next evolution of Elan’s modern asymmetrical ski design, Amphibio Tech with Truline influencing the profile and construction of dedicated right and left skis to make the perfect turn.